The last two days of February are busy. 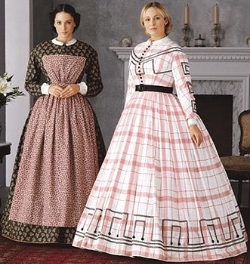 Some “fair belles” of the Confederascy are prettily dressed while raising money to help care for sick soldiers. Several others are captured by Yankees and arrested for smuggling. Some ladies in Pennsylvania go walking and raise their skirts enough to reveal glimpses of their shoes and stockings while Charlotte Forten Grimke interviews former slaves. Radical abolitionist William Lloyd Garrison calls for faster Northern action on emancipation. Tired soldier George Whitman requests leave. In Washington President Lincoln calls the Senate into special session and a prominent local theater begins repairs after a fire. Mexican forces and irregulars are busy fighting the French invaders. February 28– Saturday– Washington, D.C.– By executive order, President Lincoln calls the United States Senate into special session, beginning on March 4th, 1863. February 28– Saturday– Washington, D.C.–Work begins on rebuilding Ford’s Theater after it suffered damage from a fire. Ford’s Theater as it appears today in Washington, D.C. In the last part of February harsh winter weather besets Rebels and Yankees both. Charlotte Forten Grimke writes down the words to African American songs. Walt Whitman receives an invitation to visit his brother George and a rejection letter from Harper’s Weekly. Robert Gould Shaw is eager to begin training his regiment while his wealthy father and a well-known ex-slave work at recruitment. Fuss about General McClellan continues. The Cherokee Nation, which had mostly supported the Confederacy, splits as those loyal to an elderly leader re-assert their loyalty to the Union. February 22– Sunday– Sacramento, California– Workers break ground on construction of the Central Pacific Railroad. February 23– Monday– Paris, France–The U S Minister to France reports to the Lincoln Administration that in return for support of the North, Russia expects American support against British and French intervention in Poland. February 24– Tuesday– Washington, D.C.– The Federal government organizes Arizona as a United States territory. February 25– Wednesday– off the coast of St Thomas, West Indies– A United States warship seizes the British blockade runner Peterhoff. February 26– Thursday– Washington, D.C.–As part of a plan to standardize and stabilize U S currency, President Lincoln signs into law the National Currency Act, creating a national banking system, a Currency Bureau and the office of Comptroller of the Currency. February 26– Thursday– Northeastern Indian Territory [now Oklahoma]– Members of the Cherokee Nation loyal to the elderly chief John Ross, repudiate alliances with the Confederacy, abolish slavery among them and pledge their loyalty to the Union cause. Reaction, good and bad, at home and abroad, continues in response to Mr Lincoln’s Emancipation Proclamation and the use of black troops. Robert Gould Shaw arrives home in Massachusetts and feels some stress about his new assignment and joy about his engagement. 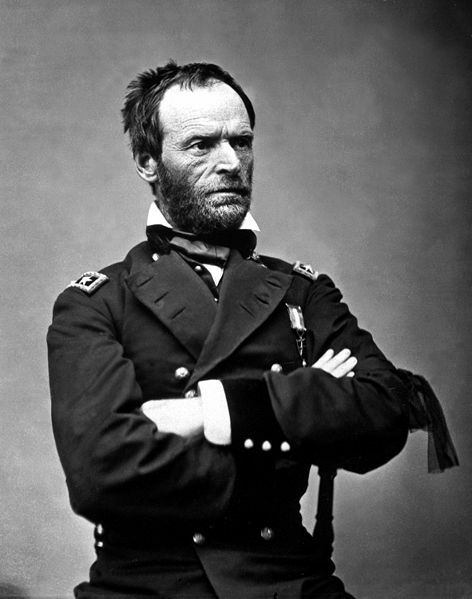 Federal forces probe the defenses of Vicksburg, Mississippi while Union General Sherman complains about journalists. Abolitionist and Transcendentalist David Wasson evaluates the cost of the war from moral and philosophical points of view in an article which delights Charlotte Forten Grimke. New York lawyer George Templeton Strong evaluates things in Europe. Confederate General Lee, worried about the safety of Richmond, moves troops into the area. A 17-year old Southern girl wonders if she will live to see the end of the war. February 16– Monday– Washington, D.C.– The Senate passes a new Conscription Act in order to increase the size of army. February 16– Monday– Topeka, Kansas– State authorities establish the Kansas State Agricultural College as the first land grant college newly created under the 1862 Morrill Act. 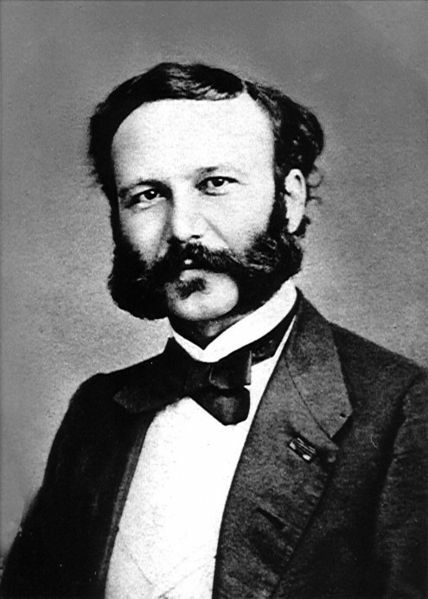 February 17– Tuesday– Geneva, Switzerland–The first meeting of what will become the International Committee of the Red Cross is held here, following the lead of humanitarian Henry Dunant. February 18– Wednesday– Richmond, Kentucky– Federal authorities disperse a convention of the Democratic Party because some members support the Confederacy. February 19– Vicksburg, Mississippi– General Grant’s Federal forces probe Confederate defenses north of the city resulting in a day of hard skirmishing. February 19– Thursday– Liverpool, England– Here and in the city of Carlisle, British workers hold mass meetings to declare their support for Mr Lincoln’s Emancipation Proclamation. February 20– Friday– London, England– The London Pneumatic Despatch Company inaugurates its pneumatic tube atmospheric railway for parcels between Euston station and the General Post Office, North Western District sorting office, a distance of 0.75 mile. February 21– Saturday– Meerat, India– Irish-born Samuel Hill, age 36, is killed in action against “bandits.” Hill had been awarded the Victoria Cross for bravery in a November, 1857 battle during the “Indian Mutiny” at Lucknow, India. 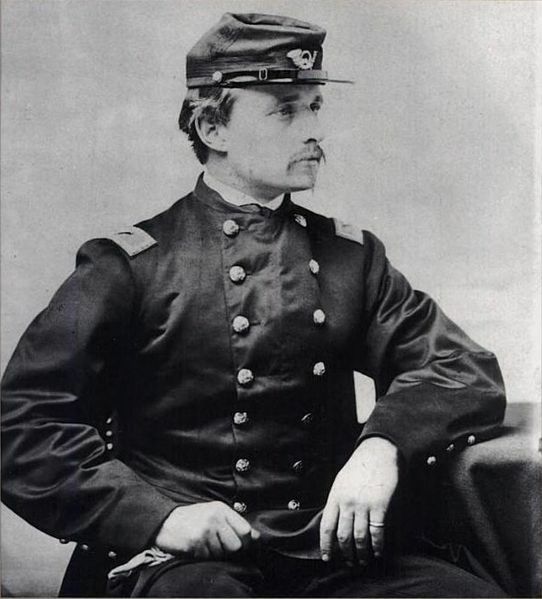 As February moves on, Robert Gould Shaw changes his mind and accepts the governor’s offer to command the Massachusetts black regiment. His friends are delighted. Yankee soldier Elisha Hunt Rhodes complains of bad weather and while on picket duty enjoys a rebel band concert but will not trade with Confederate pickets. The African American teacher Charlotte Forten Grimke, a daughter of a prosperous black family in Philadelphia, takes pride in the black soldiers serving under Colonel Thomas Wentworth Higginson and enjoys socializing with other teachers, officers and soldiers. The New York Times and New York attorney George Templeton Strong belittle France’s offer of mediation.. Some northern industrial workers go out on strike despite the war. A Southern diplomat continues his efforts to win England’s support for the Confederacy. Food grows more scarce in Richmond. A Confederate officer held in a Union prison praises Southern women. Southerners like the government clerk John Jones hope that the Emancipation Proclamation and the enlistment of black soldiers will fracture the Federal government and the Union army. 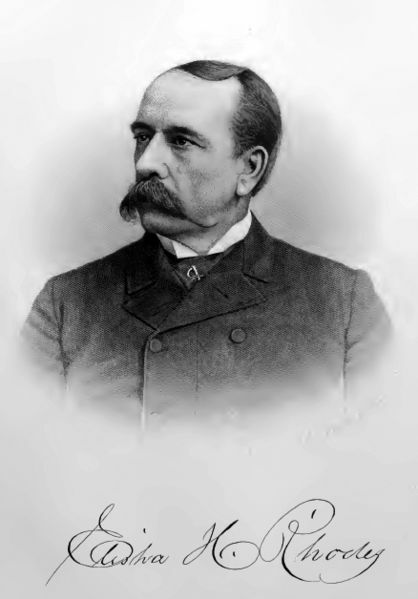 February 10– Tuesday– Washington, D.C.– Mr Alanson Crane receives the first US patent for a fire extinguisher. February 11– Wednesday– Philadelphia, Pennsylvania–Iron workers begin a strike which will last close to two years; however, they will make no gains or improvements. 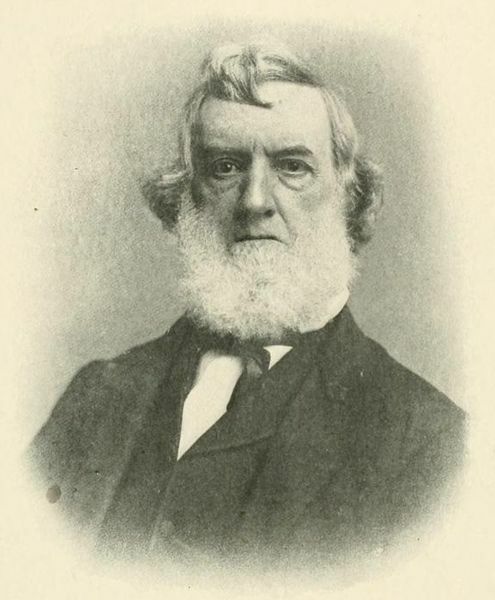 February 11– Wednesday– London, England– Confederate commissioner James Mason delivers a speech at the Lord Mayor’s banquet in an attempt to garner support for the Confederacy. February 12– Thursday– Wheeling, West Virginia– The constitutional convention reconvenes following Congress’s request that certain wording about slavery be modified. 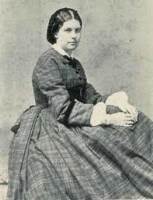 February 14– Saturday– London, England–Lord Russell reports that Her Majesty’s Government has no objection to French efforts to mediate the civil war in the United States. In February reaction to the Emancipation Proclamation continues. Bad weather is wide-spread and problematic for men and animals in both armies. Many feel pessimistic about the war and its human costs. Trouble in Poland escalates. France wants to mediate but Britain refrains from interference. Yet above all else, irregardless of the prejudice or indifference of many, the essential nature of the war is changing. More slaves are fleeing to Union lines. 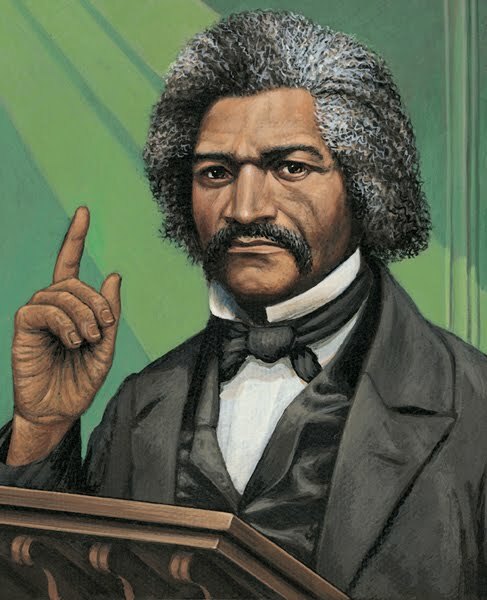 More black men are enlisting and more involved in the fight, making an appearance of “the Sable Arm.” Frederick Douglass aptly foretells a struggle on two fronts for such soldiers. 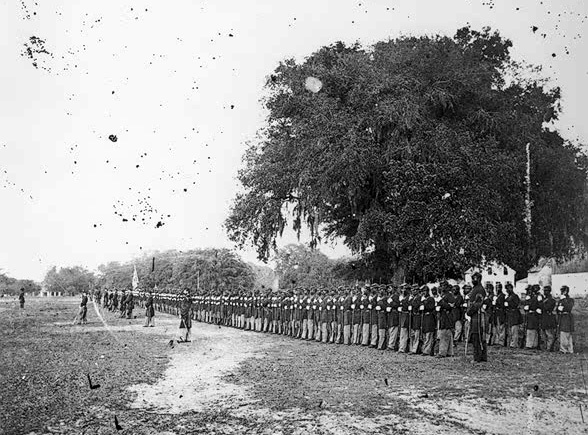 The governor of Massachusetts begins planning for black units commended by white officers and the 54th Massachusetts begins its march to glory. February– Boston, Massachusetts– This month’s edition of The Atlantic Monthly contains a patriotic poem entitled “Boston Hymn” by Ralph Waldo Emerson and a poem by John Greenleaf Whittier in honor of the Emancipation Proclamation. February 2– Monday– Marijampola, Poland–A squadron of well-armed Russian cavalry attacks and massacres a group of Polish peasants armed only with scythes and other farm implements near the town. 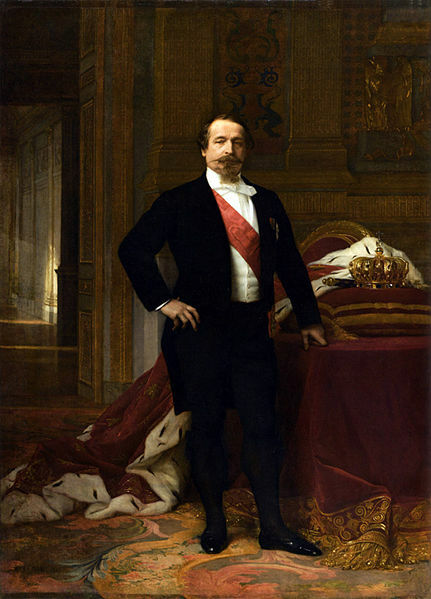 February 3– Tuesday– Washington, D. C.– The French Minister, Henry Mercier, officially extends France’s offer to mediate the Civil War. February 3– Tuesday– Ingersoll, Ontario, Canada– Birth of James White, geographer. In 1906 he and his team will produce the first edition of the Atlas of Canada. February 4– Stafford Courthouse, Virginia– Robert Gould Shaw writes to his sweetheart. “Father has just left here. He came down yesterday and brought me an offer from Governor Andrew of the Colonelcy of his new black regiment. 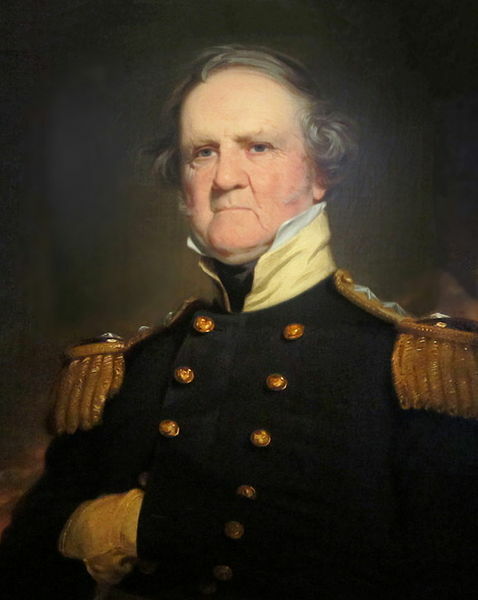 The Governor considers it a most important command and I could not help feeling, from the tone of his letter, that he did me a great honor in offering it to me.” He goes on to say that he declines the offer. 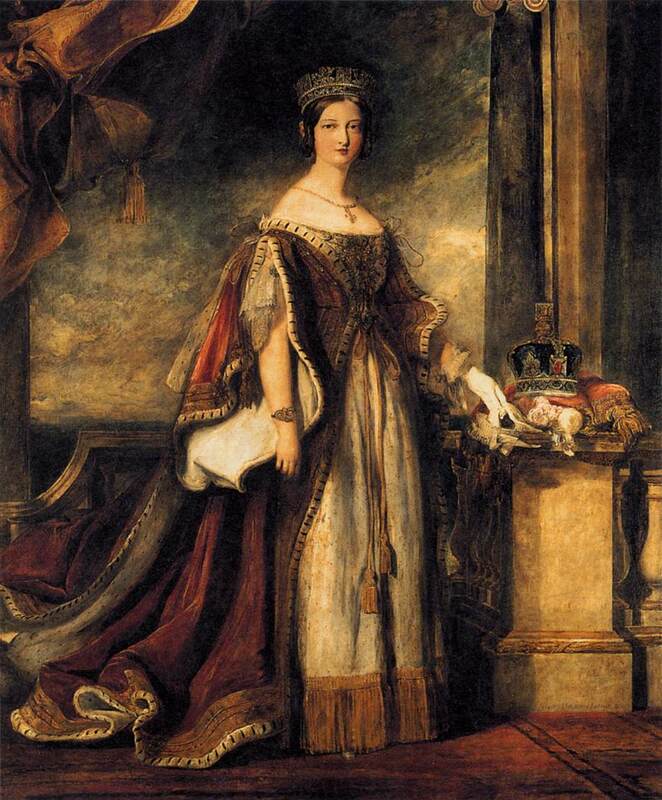 February 5– Thursday– London, England– In a message to Parliament Queen Victoria, through her Prime Minister, writes that the government has abstained from any attempt “to induce a cessation of the conflict between the contending parties in the North American States, because it has not yet seemed to Her Majesty that any such overtures could be attended with a probability of success.” The Queen has been almost a recluse since the death of husband, Prince Albert, in December of 1861. February 6– Friday– Washington, D.C.– Secretary of State Seward informs the French Minister, Mecier, that the United States declines the offer from France to mediate an end to the war with the Confederacy. 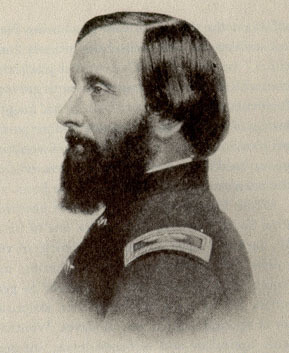 February 6– Friday– Washington, D.C.– In response to the Senate’s request, President Lincoln provides that chamber information about Frederick Townsend Ward, an American citizen who died in battle in China on September 21, 1862, leading Chinese Imperial troops. February 7– Saturday– Auckland, New Zealand–The HMS Orpheus, a ship only two years old and flagship of Her Majesty’s Australia squadron, sinks while attempting to enter Manukau Harbor. Of the 259 total crew and soldiers on board, 189 men die.